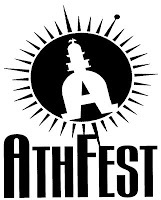 So, maybe you&apos;ve heard... AthFest officially kicked off tonight! That means free music at the outdoor stages all weekend. Here&apos;s a schedule of all the acts...hope to see you out there! For more info visit the AthFest website.